Andrew Ross Sorkin delivers the first true behind-the-scenes, moment-by-moment account of how the greatest financial crisis since the Great Depression developed into a global tsunami. From inside the corner office at Lehman Brothers to secret meetings in South Korea, and the corridors of Washington, Too Big to Fail is the definitive story of the most powerful men and women Andrew Ross Sorkin delivers the first true behind-the-scenes, moment-by-moment account of how the greatest financial crisis since the Great Depression developed into a global tsunami. 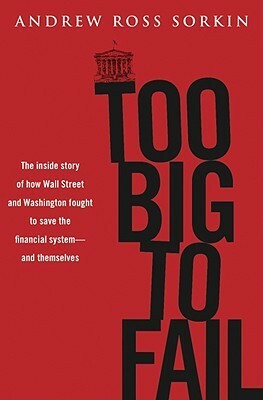 From inside the corner office at Lehman Brothers to secret meetings in South Korea, and the corridors of Washington, Too Big to Fail is the definitive story of the most powerful men and women in finance and politics grappling with success and failure, ego and greed, and, ultimately, the fate of the world’s economy. “We’ve got to get some foam down on the runway!” a sleepless Timothy Geithner, the then-president of the Federal Reserve of New York, would tell Henry M. Paulson, the Treasury secretary, about the catastrophic crash the world’s financial system would experience. Through unprecedented access to the players involved, Too Big to Fail re-creates all the drama and turmoil, revealing neverdisclosed details and elucidating how decisions made on Wall Street over the past decade sowed the seeds of the debacle. This true story is not just a look at banks that were “too big to fail,” it is a real-life thriller with a cast of bold-faced names who themselves thought they were too big to fail.